This is a very special week in our house! It's my husband's birth week! Parker and I decided early on in marriage that we would celebrate "birth weeks". It's just a little something extra to make the birthday boy or girl feel special. When it's your birth week, you get to pick the meals, pick the movies/TV shows, and basically get waited on and pampered. Since it's Parker's special week, I wanted to create the perfect dessert that he could look forward to each evening after dinner. If there is one thing Parker loves, it's chocolate chip cookie dough ice cream. If we buy ice cream for the house or go out to ice cream, he will choose the exact same flavor every time. I can't blame him... the man has good tastes. 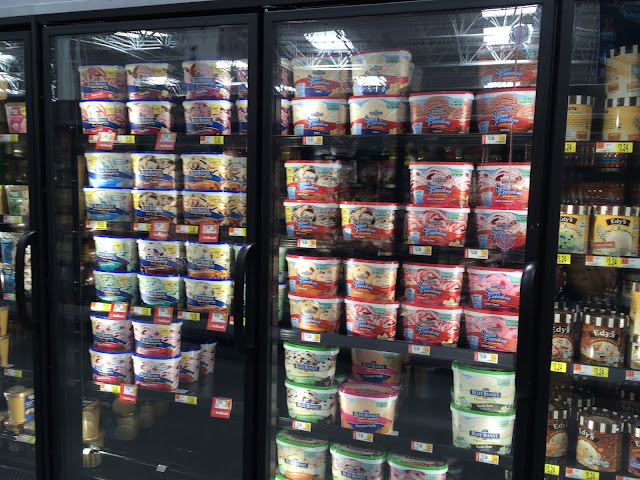 I attended a demo at Walmart and tasted a few of the Blue Bunny flavors, and I was sold. I saw their Super Chunky Cookie Dough variety and knew it was coming home with me. In honor of his birth week, this delicious recipe was born. Step 1: Preheat oven to 325 degrees and line a muffin tin with cupcake liners. Prepare cake mix according to the back of the package, and fill each cupcake liner about 1/4 of the way full. Set ice cream out on the counter so it will be soft for later on. 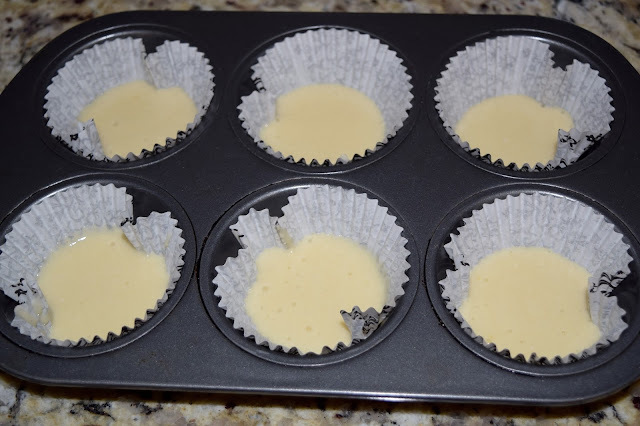 Step 2: Bake cupcakes for about 10 minutes, or until an inserted toothpick comes out clean. Remove from the oven and let cool completely. 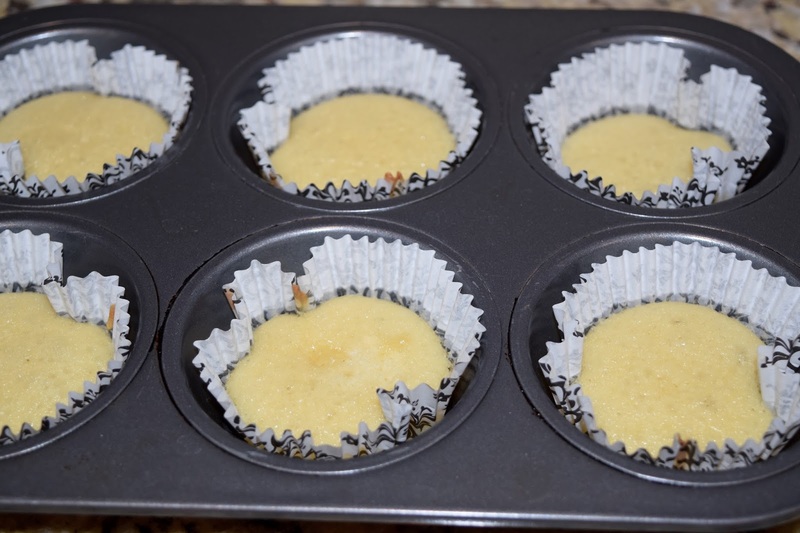 Do not remove muffins from the muffin tin. Step 3: Once muffins are completely cool, fill each muffin cup with ice cream. The softer it is, the easier it is to work with. 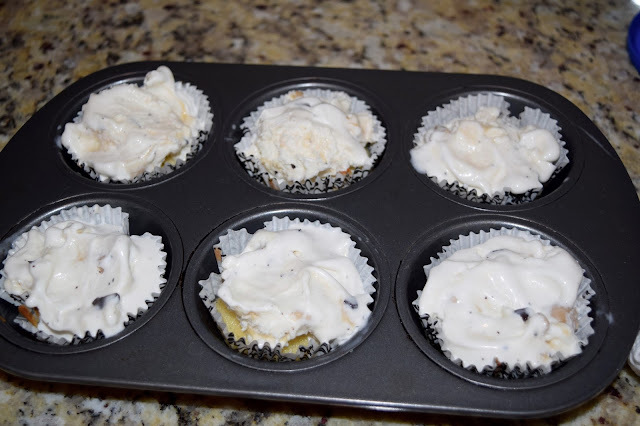 Step 4: Place the cupcake tin in the freezer for at least an hour to let the ice cream refreeze. Store in the refrigerator until you are ready to serve. 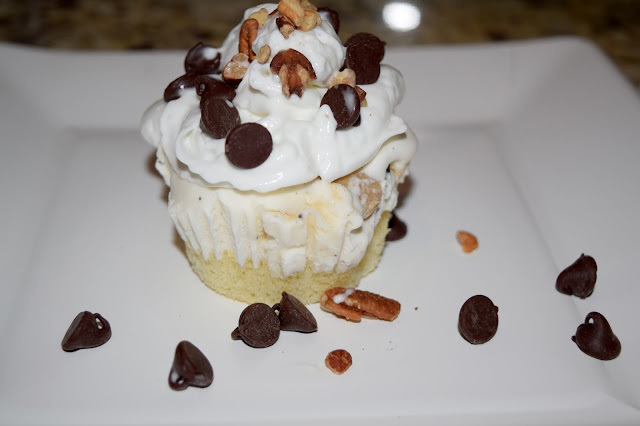 To serve, remove the cupcake liner, add whipped cream to the top, and garnish with chocolate chips and pecans. 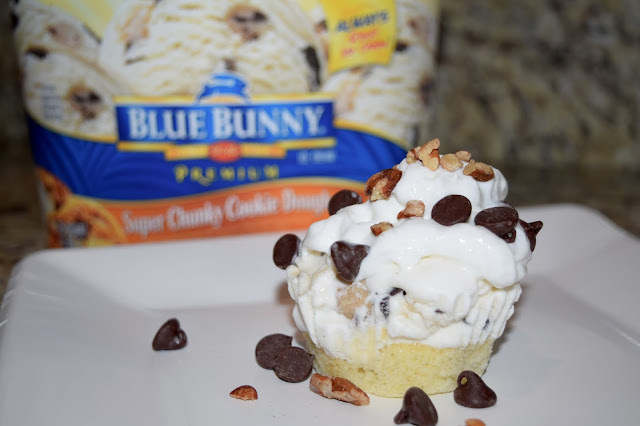 We have been enjoying this all week, and I am so excited to mix and match this recipe using different Blue Bunny flavors. If you feel like sampling some free ice cream, Blue Bunny will be at these stores holding demos on June 20th. Or, if you can't wait until then, head on over to Walmart and look for this set-up in the ice cream aisle. Oh these look so good!!!! Yum! Ummmm oh my gosh?! Totally going to need to make these for the 4th! Yum! This is such a genius idea! 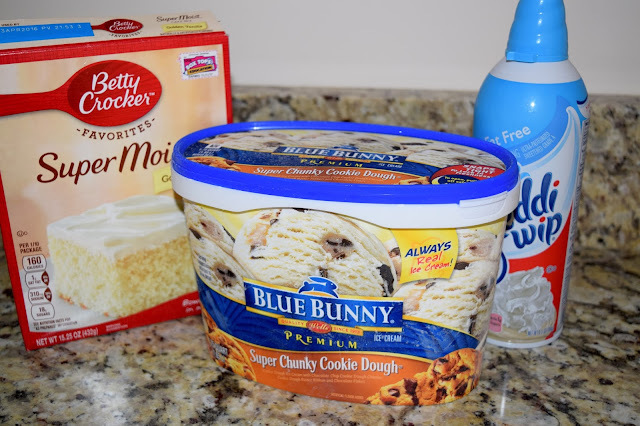 I used to looove ice creak cakes but I haven't had one in years and this would be such a fun way to make them & you could make so many different kinds! Dang! Totally want some now...!!! Those look amazing! Chocolate chip cookie dough ice cream is my absolute favorite, so now I HAVE to try this recipe! Yumm! These look delicious! Mac and I are birthday opposites. He just doesn't care about his birthday, and I make us celebrate my whole birthday month.